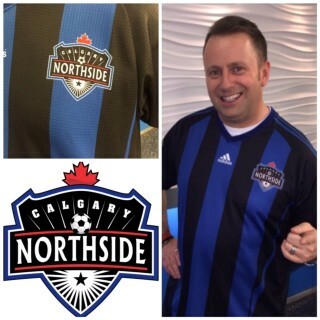 On June 2nd our Calgary Northside Soccer Jersey was worn by Andrew Schultz on City TV's Breakfast Television show. Thanks Andrew!! Looking good.